Happy 100th Birthday, Norman Lloyd! Hollywood legend and St. Elsewhere star Norman Lloyd celebrates his 100th birthday today, and tributes have been pouring in. The St. 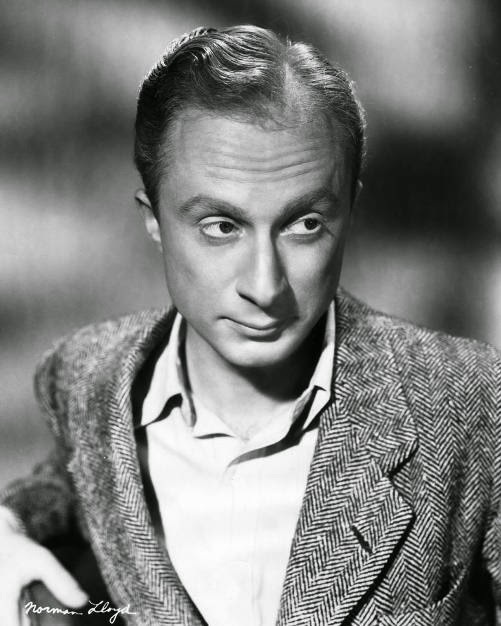 Elsewhere Experience wishes Norman Lloyd, who played Dr. Daniel Auschlander for six seasons of St. Elsewhere, a happy 100th birthday. In honor of this occasion, today has been declared "Norman Lloyd Day" in the city of Los Angeles. Check out the accolades Lloyd has received from around the web, and learn more about the living legend who is one of Hollywood's greatest storytellers. Lloyd has slowed down a bit at the century mark: he has only one film due out for release at the moment, and only plays tennis twice a week. The first article was written by Jim Longworth, who produced On Call: The St. Elsewhere Appreciation Club Newsletter in the nineties. Birthday wishes also go out to Alfre Woodard, St. Elsewhere's Dr. Roxanne Turner, who turns 62 today.